New Jersey / New York … The Two Man Power Trip of Wrestling Podcast and Captain’s Corner are teaming up in a HUGE way…. COMING to the biggest weekend in sports entertainment and professional wrestling is Markout At The Meadowlands (http://matmcon.com/). 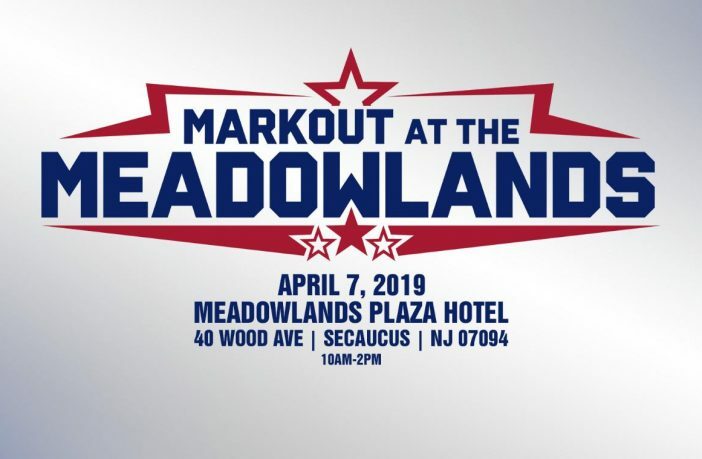 Markout at the Meadowlands is the only PRO WRESTLING fan convention taking place on “Mania Sunday” and is only minutes from Met Life stadium. There will be an AMAZING opportunity for autographs and photo opportunities with many legends of the squared circle including a reunion of players from the West Texas State Football team. The Markout at The Meadowlands Convention will be held on Sunday, April 7, 2019 with doors opening at 10:00am and held at the Lareggia Banquet Hall inside the beautiful Meadowlands Plaza Hotel. The OFFICIAL convention lineup will feature a football meets wrestling themed SUPERTICKET with Early Bird Pricing starting at $100 until December 1st. We will have additional guests announced in the weeks to come by vendors as well as other special opportunities that will be made available at this monumental event. Special Early Bird / General Admission discount tickets will go on sale this Friday 10/5/2018 and are only $10 until December 1st!. Additional info will be released in the coming weeks including on sale dates, vendor table purchase information and guest announcements. If you have any questions or are interested in learning more about Markout At The Meadowlands please message Nick of Captain’s Corner by emailing [email protected].